Did you enjoy the first sunny weekend of the year? We had a super day out to Whitstable in Kent, our first since last autumn. I always know summer is on the way when we feel like hopping in the car to the north Kent coast and wander along Whitstable high street nosing in all the windows at the Easter displays. I’ve made two short videos about our trip – the first one is shown above and gives you a wander around the beach and harbour. I’m editing another about the independent shops which I’ll share with you shortly. It’s only about 90 seconds and I’m still experimenting with features such as front/end titles, sound, subtitles etc. Any constructive criticism on my novice film making skills would be much appreciated! And tell me what you did in all that sunny weather? In other news… Forever Nigella 4 is open for entries now. This round’s theme is “Street Party” in honour of the royal wedding and runs until May 1st. The current host is Mardi at Eat Live Travel Write. For more details read the current announcement post here. 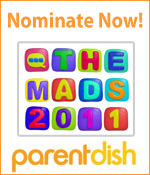 The MADS 2011, mum and dad blog awards are currently open for nominations. Click here to nominate your favourite UK mum and dad blogs – there are categories for food and photography as well as baby blogs, family fun, best blog post of the year etc. Don’t forget to nominate! 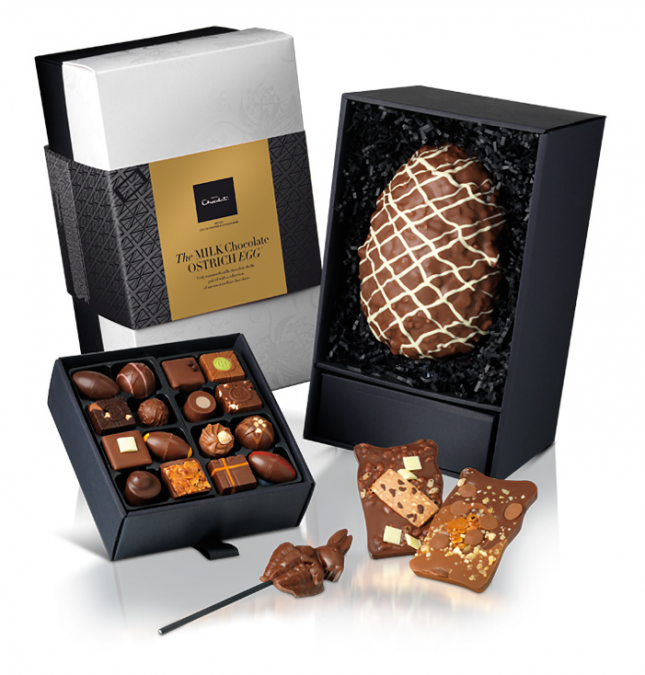 Have you checked out my awesome Hotel Chocolat easter egg giveaway yet? Open until April 17th. Click here to enter. OMG first off love the scenery and your lovely voice! Of course us Americans LOVE an accent – he. I think the video is nice. Otherwise, I enjoyed the tour! Thanks! I see now a tripod would help with scenery shots although this was just impromptu footage taken with a mobile phone. I would like music in the background throughout too, I need to experiment and make sure it doesn’t drown out the commentary if there is one. Love it! And love Whitstable, although I go with my parents in winter for birthdays! Such a glaring mispelling on the sign in the last shot! You mean “mussles” I take it?! I don’t know why we don’t go in the winter… it’s not that far away, I guess we just feel more inclined to go out of the city when the days start to get longer. Cute video! I don’t get to Whitstable as often as I should, my sister lives there so I have no excuse! Yes I bet it’s not far from you… takes us just under 90 mins to get there.